Frank Zappa was taken from this world way too early. Musician, bandleader, producer, ,filmmaker, and composer, what he contributed to the art world will never be forgotten. Most of all is his shoot from the hip perspective of the world that contains a common sense approach that resonates to this day. German director Thorsten Schütte had worked a few years to convince Gail Zappa , Frank's widow, and family to show some archival footage of Frank taken in Europe where he was immensely popular. His persistence paid off with the family's cooperation signed on as producers. The resulting documentary displays not only his musical genius, but his level headed opinions on the entertainment industry, religion and government that is relevant today as it was 40 years ago. Zappa's experimental approach to music was not understood by mainstream listeners. There is an early clip of a very young and bare faced Frank on the Steve Allen show playing a bicycle producing a wild improvised sound with a band and prerecorded music. It's crazy, but made sense as a forerunner of his later music. He first began composing at 14 years old when writing notes was more of an extension of his artistic pursuits. A self taught musician, Zappa followed classical composers as his influence. His first album Freak Out in 1966 with his band the Mothers of Invention was so polar opposite of the English pop invasion and attracting the hippie counter culture who appreciated his not ready for radio lyrics and melodies. 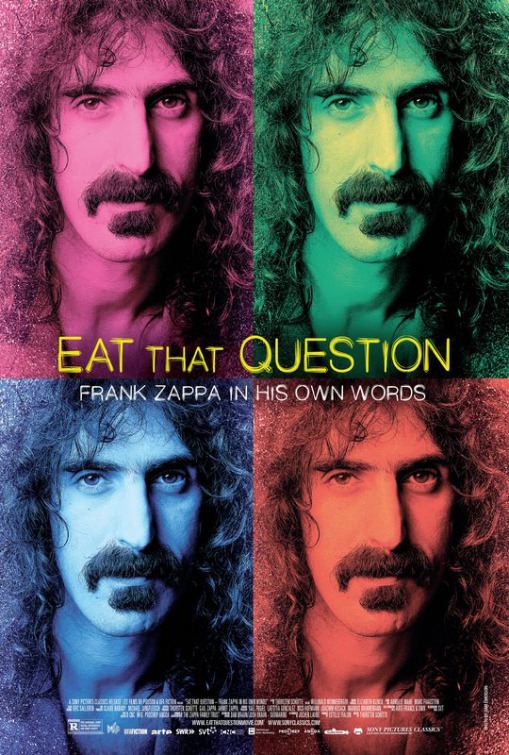 Zappa once commented that people were familiar with his face from poster but didn't have a clue about what he does. He was more popular in Europe where his music was actually played on the radio. The most intriguing of this doc are the various interviews over the years. His clear eyed and articulate responses to often times uncomfortable journalists makes one wish what he would have accomplished in this social media world. There is an extremely amusing moment when he testified in front of a congressional meeting regarding the labeling of music where he seriously made the censorship board look bad. Everyone tried to discredit him as a rebel and anarchist but by his own description he was a conservative with a wife, four children and a mortgage and taxes to pay. 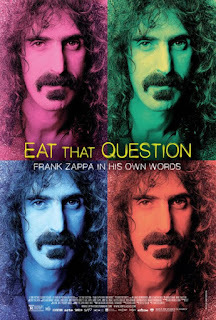 Unhappy with the record industry editing his lyrics and their claims that the bands expenses wiped out the profits, Zappa created his own label. The money generated went to fund projects like having an English orchestra and chorus record his music. For Zappa it was all about the music. Before he passed in 1991 from cancer he said he didn't do any of this too be remembered. Thanks to Schütte and the Zappa family he will never be forgotten.